Elin Kelsey, PhD, is an award-winning author and a leading spokesperson for hope and the environment. In 2014, she co-created #OceanOptimism, a twitter campaign to crowd-source and share ocean conservation successes which has reached 90 million users to date. She frequently works on projects with the Monterey Bay Aquarium, Stanford University and the University of Victoria and is passionate about engaging kids in hopeful, science-based, environmental solutions. See more at www.elinkelseyandcompany.com. 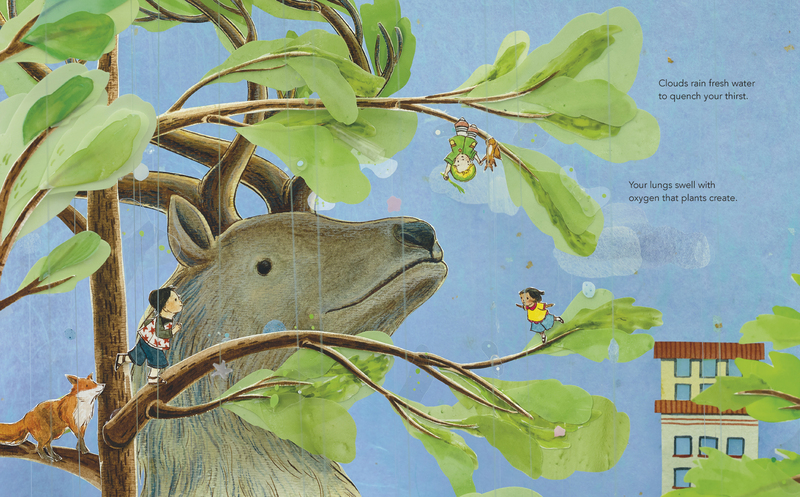 From the creators of You Are Stardust and Wild Ideas comes a new informational picture book that explores how humans are inextricably connected to nature. 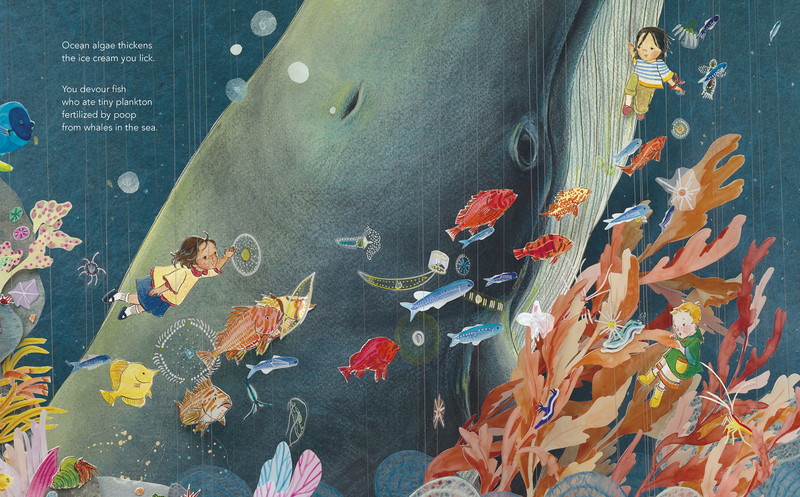 This book draws examples from the clouds and the cosmos, the seafloor and the surface of our skin, to show how we are never alone: we are always surrounded and supported by nature. Whether it’s gravity holding us tight; our lungs breathing oxygen synthesized by plants; the countless microorganisms that build our immunity; or the whales whose waste fertilizes the plankton that feed the fish we eat: nature touches every aspect of how we live. 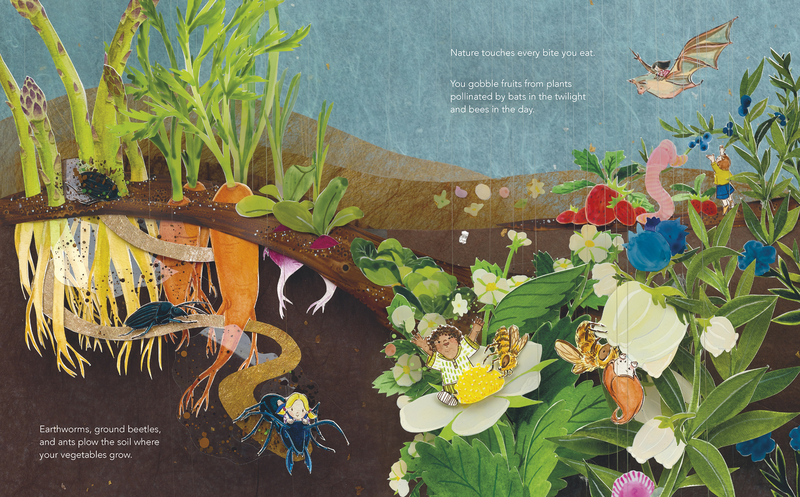 Using lyrical text grounded in current science alongside detailed diorama art, this book presents the idea that we thrive through connections to the land and sea and sky, and togetherness is key to nature. It encourages inquiry-based learning, inviting readers to wonder, ask questions, observe the natural world, and engage with big ideas. An author’s note at the end offers more insight into the research behind the text.